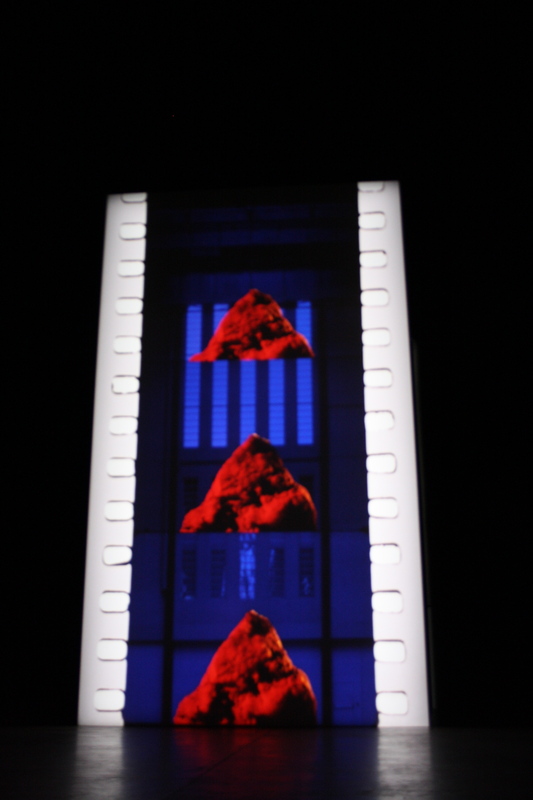 Tate Modern’s Turbine Hall makes a natural cinema – which is fitting as it is currently the venue for Tacita Dean’s latest filmic output. 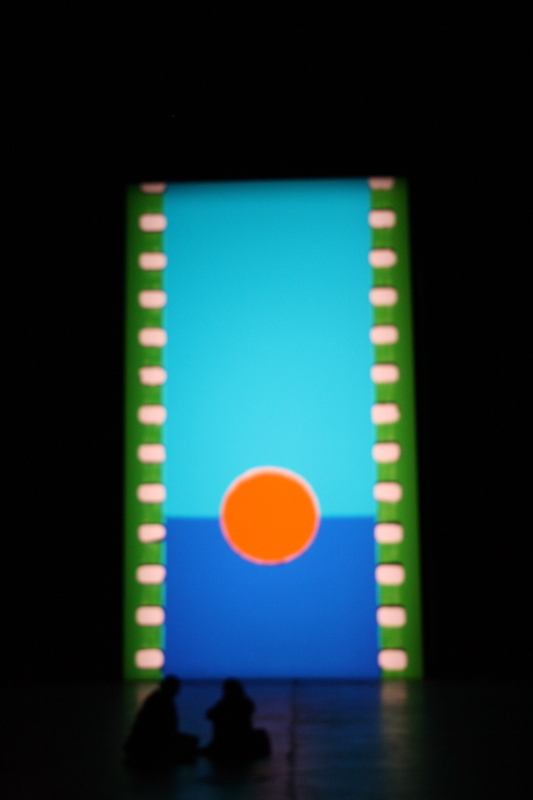 FILM is a 35mm, 11 minute silent film set on a constant loop. It contains a startling montage of colour, black and white and hand-tinted analogue film, complete with sprocket holes along the vertical edges. Dean has rotated the normal anamorphic lens by 90 degrees to create an unusual vertical format. All of this is projected onto a white monolith which references the one seen in 2001: A Space Odyssey. Although British-born Dean is best known for her work in film – particularly 16mm film – she originally trained as a painter and has also worked in photography, sound, book art and drawing. She has become an ardent supporter of analogue film, whose very existence is being threatened by the digital format. Earlier this year she was instrumental in putting together an online petition aimed at keeping London’s Soho Film Lab’s 16mm print service (the only one in the UK at the time). Despite garnering 5,489 signatories the new owners discontinued the service. 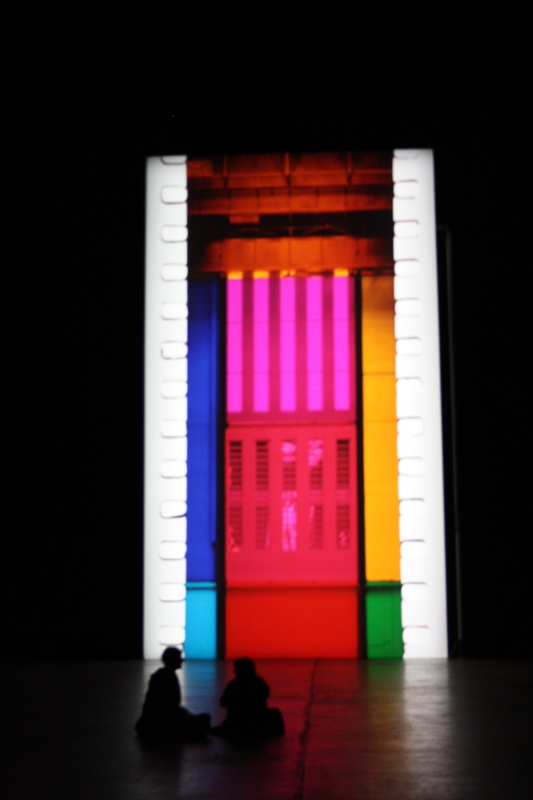 FILM can be found in the Turbine Hall until 11 March and is free, so there’s no reason not to drop by. You might even find yourself being entertained by children using it as one giant silhouette screen – including climbing up the escalator projected in one of the scenes. And while you’re there you can take in Gerhard Richter’s excellent paying exhibition upstairs until 8 January if you have the cash.